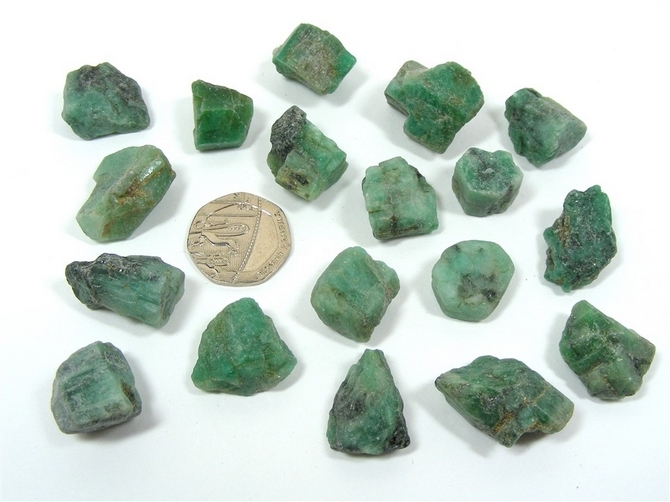 Super pieces of Emerald with a gorgeous green colour. Emeralds are frequently found in a black matrix which is ground off if they are to be sold as single specimen stones. These pieces are 100% natural, having had no treatments other than being washed down before being offered for sale. As such, some small black areas are still visible here and there. Emerald is said to help with disorders of the spine, lungs, heart and muscular system. It is also believed to help with rheumatism and diabetes. Gazing at Emerald is said to soothe the eyes. Emerald is said to bring us domestic bliss and to instil in us both loyalty and sensitivity. It enhance our sense of partnership, promotes friendship and bring harmony to many areas of our lives. Emerald bring us inspiration, patience, courage and the strength to cope with the misfortunes of life. It bring us clarity of mind, discernment and wisdom thereby helping us to take the "right" course of action in any situation. 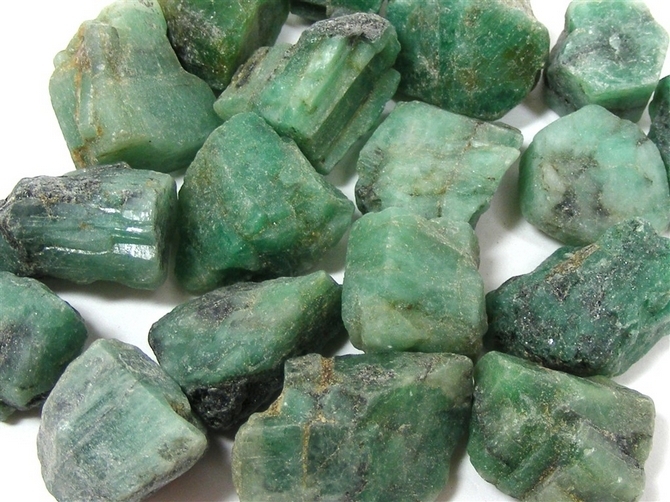 Emerald is also believed to improve our memory. Emerald is very much a heart chakra stone and open us up to receive Divine love, universal love and unconditional love. If you find it difficult to meditate, Emerald can help to promote rhythmic breathing which helps us to more easily enter into, and to maintain, a state of meditation. Emerald enhance both our psychic and clairvoyant abilities and make us more receptive to receiving spiritual insights.